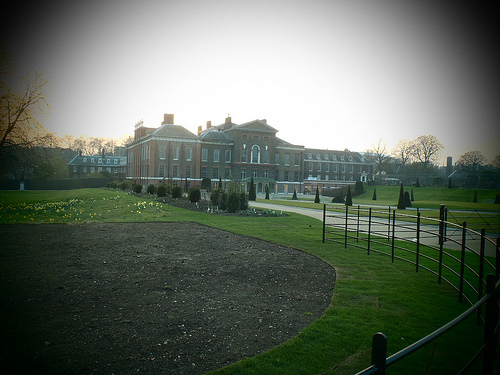 Newly reopened after a two-year, £12 million refurbishment, Kensington Palace is arguably one of London's best-positioned buildings, with a central location in Kensington Gardens, looking Eastwards towards Round Pond. Originally built in the early 17th century by a wealthy nobleman, the palace was acquired for King William III, in 1689, because the King wanted to live near London but suffered from asthma and needed somewhere with clean air. The Palace is, we are told, an official residence of world-famous multi-millionaires, the Duke and Duchess of Cambridge, and they also bunk up with the Duke and Duchess of Gloucester and Prince and Princess Michael of Kent when they are in town, so visitors should expect an onslaught of Monarchism if they visit, but this is, of course, part of all our histories, so is understandable.